Flex Your Thanksgiving Muscle | First Financial Security, Inc.
Thankfulness is like a muscle. You have to use it regularly or it becomes stiff and out of shape. To return to peak gratitude form, it’s time to flex your Thanksgiving muscle. This week, families and communities all across America gather to celebrate Thanksgiving and the bountiful blessings we enjoy with food, football and fellowship. How do I best celebrate this season of giving when I’m just not feeling the gratitude mood? How do I enjoy the festivities of Thanksgiving and upcoming holidays without just going through the motions? How do I lean into (rather than turn away from) the energy and positivity of those around me? It’s so easy to get caught up in the day-to-day minutia that takes our focus off what’s truly important. Instead of going to our laundry list of blessings, let’s dig deeper. Let’s discover who and what we are most grateful for this year. I’ve discovered that thankfulness is like a muscle. You have to use it regularly or it becomes stiff and out of shape. Perhaps the reason I’m not in the mood for Thanksgiving is that I haven’t been flexing my “thankful” muscle. Maybe you’re feeling the same way, too. We should visit our gratitude lists weekly, not annually! After all, we enjoy good things the whole year round. Wouldn’t it make more sense to be thankful for those things throughout the year and not just on the one day we’re supposed to? Like exercise, practicing Thanksgiving is tough at first. The first time I go to the gym after a month (or two) off, I am miserable. But, the more consistently I exercise, stretch and get back into my workout regimen, the easier it gets. Suddenly, what was once painful comes a bit easier and brings a much greater sense of accomplishment. Joy, happiness, and gratitude really are contagious … if we let them be. Instead of turning away from or trying to “tone down” holiday cheer in others, let’s celebrate wonder where it’s found. We might be surprised to find it once again in ourselves. 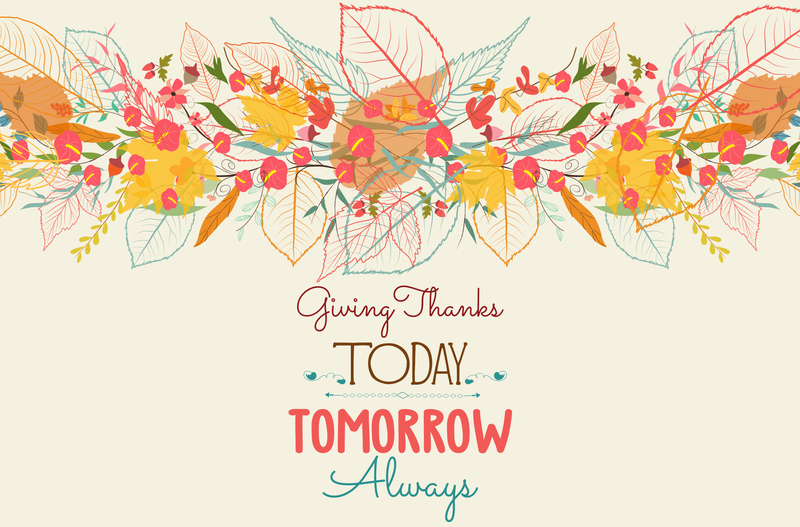 In our professional lives, we have much to be thankful for this year, too. First Financial Security, Inc. experienced strong business growth in 2016. Recruiting, overall production, and submitted apps and commissions paid are all up. But, it’s not these indicators of our own profitability or success that we celebrate. Instead, we find joy in accomplishing our vision: to help all people achieve financial security and peace of mind. And, that’s a reason to be grateful. Our achievements wouldn’t have been possible without the hard work and loyalty of our incredible field representatives and carrier partners. It’s through the three-fold partnership of the field, home office and carrier partners that we have experienced such success. We are humbled and honored by your partnership and support. This year marked 10 Years of Business Excellence for our organization. At Leaders Convention 2016, we celebrated this milestone and looked forward to a bright future. We are excited and expectant to see what the new year has in store for all of us. And so, although it may feel a bit uncomfortable or awkward, this week I will exercise my gratitude muscle. I may not have all the warm, fuzzy feelings now. After focusing on how much I truly have been blessed, my thanksgiving spirit will come a bit more easily. So, if you’re like me, a little out of shape or out of sorts this Thanksgiving, I hope you will join me in recommitting to gratitude. It’s time to flex your Thanksgiving muscle!